The first time I went to Oslob to swim with the whale sharks, or butanding as they’re also called, was in 2012. Back then, there were hardly any people there. It wasn’t anything like the marketplace it is now. The surroundings were serene. Everything felt peaceful and calm; and it perfectly matched the whale sharks themselves. When we rode out to the open sea, there were always four to six whale sharks around each boat. Of course, the boats were far away from each other probably so that the animals wouldn’t feel threatened. Throughout the whole time, we could see that the whale sharks were being cared for, and that their safety was of utmost importance. I remember laying my eyes on those beautiful gentle giants and being completely in awe with their magnificence. It was one thing to see them from a far, it’s a whole different, more spectacular thing altogether to see them up close and personal, to see how huge they were and how small you are in comparison. It sent shivers up and down my spine. I came out of that experience having a much bigger appreciation of nature and its awesome creatures. I’ve been to Oslob two more times since then, and in each visit, I felt that the situation has gotten unpleasant. And judging by the growing number of criticism Oslob faces, I’m not the only one who thinks this way. On my last visit, I went because I wanted to tour my foreign friends. It was overcrowded and too noisy. I felt like instead of being out in open water, I was in a giant glass aquarium where every sound reverberated in my ears. Gone was the tranquillity that was ever-present during my first visit, and in its place was this sense of haste, like everyone was just scrambling to get a picture with the whale sharks. The way I saw it, it wasn’t even a matter of being able to experience swimming with these magnificent creatures in the wild; it had become a matter of getting that Instagram-worthy photo. And unlike before where the boats were few and far in between, this time there were two layers of boats and each boat had six to ten people and was “assigned” to one whale shark. A local on board would then feed the whale shark in order to attract it to come closer. Sometimes, the animal would get too close and bump into the boat. You can also book a day tour here or at this link. Even though it is still widely known as the best place to swim with the butanding, Oslob is also slowly gaining an unpleasant reputation among animal rights activists and travelers alike. People have argued that the fact that the locals keep feeding these animals in order to maintain the influx of tourists is not only wrong but also harmful. Some people discourage others from going to Oslob to see the whale sharks as a sign of protest. But even then, people continue to flock to the region to get a close-up with the famous animals that have now become a certified tourist attraction. And this is where it gets really complicated. For any person who wishes to travel and see exciting things, it’s hard to pass up an opportunity to swim with the whale sharks in the wild. I myself am guilty of wanting to take advantage of such an unbelievable experience, and I couldn’t begrudge anyone else for feeling the same. 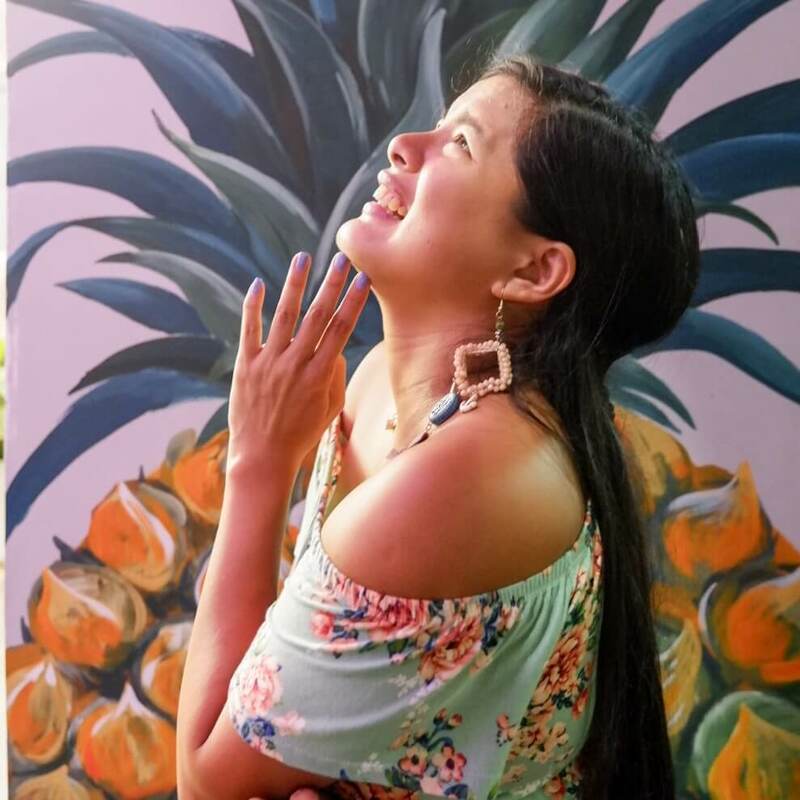 It’s definitely more convenient to choose a place you know for sure you’ll be able to get that experience instead of opting for other places where they can’t guarantee that. On the flip side, for the sake of our swim-with-the-whales experience, these very same whales are being robbed of their natural instincts. And it’s not just the animals that are affected, when I went to Moalboal, the dive master there told me that the whale sharks in the area have all gone to Oslob. 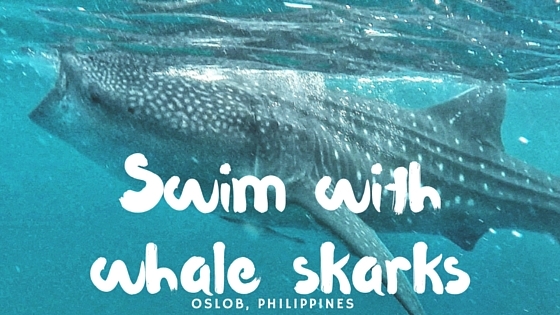 The same thing can be said in Donsol in the province of Sorsogon where the number of whale sharks continue to decline. While the people of Oslob are reaping the profits of their butanding attraction, the people of Moalboal and Donsol, who choose not to feed these wild animals, are fighting an uphill battle to attract visitors and boost tourism. Clearly, this isn’t a simple case of black and white. I myself am torn. While I find the situation worsening, I still believe that the people who do go for the whale sharks – and the people who rely on the whale sharks as their main source of income – shouldn’t be attacked. What I believe we should do is to always strive to be informed and aware about different issues and concerns, not just in Oslob, but also in every place we travel to. This isn’t just for our own benefit; more importantly, this is so that we can open the door for conversation and action. It sounds like an amazing experience! I would love to do something like this. What a wonderful time you must of had swimming with those sharks. I hope I get to try that some day. That’s a shame that people are protesting. Why can’t people just enjoy the animals and be careful not to disrupt them?! I would love to swim with them in the wild. Those whale sharks are huge! As much as I love the experience of seeing wildlife, I also think it is important to protect them. We forget that human interaction might be good for us, but not for them. WOW! This sounds like a wonderful experience! I would love to do this. I can definitely see why it faces criticism. Sometimes people need to step back and do what’s right for the animals. 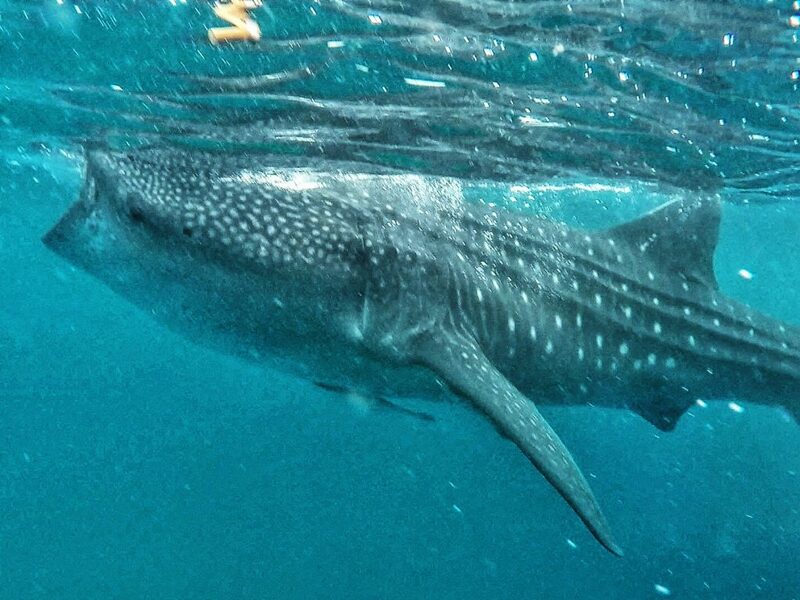 Hopefully a solution can be found that helps the locals and the whale sharks. That sounds like a wonderful experience. I don’t think that I could do it but it looks fun. It’s a great experience, but is it really worth ruining the lives of these lovely creatures? I would rather visit a different destination than add up to what the people are doing to them now. It’s heartbreaking. That’s a good point. It would be difficult to enjoy the experience knowing that it’s causing long-term problems. I would love to have the experience of seeing them up close and personal. I just can’t say that I would actually be brave enough to ever do it. Kudos to you! i too can see about feeling so torn about swimming with the animals when affects the animals. i dream of swimming with dolphins but what i have read makes me feel so guilty about that dream. That is one awesome experience, however, I still believe that these animals should be left alone to fend for themselves. By feeding them, it is destroying their natural instinct to hunt and feed. What a wonderful experience, I wish that someday I could also swim with these gentle giants. The government should also protect these species so that our great grandchildren may be able to see them also in the future. Sounds like a great experience that you had. I feel sad that this is happening. The whale sharks’ safety and protection are very important. I hope they will set rules and restrictions for the tourists and boat owners. What a wonderful experience. Too bad though that this is happening. Getting too close is definitely not good for them. That looks like a lot of fun. I would love to experience this someday. Swimming with sharks would be so neat! That is such a tough spot to be in. I can see both sides of this, and there is definitely no easy answer. I am glad you had that experience. It sounds amazing! I am sad that it does sound like it is rapidly declining though. This is a tough issue, with no real black or white answer. Beautiful whales, though! I did swimming the sharks in Bahamas, and it’s amazing, I truly could relate what you feel. This is a situation to be torn on. Looks like a great experience, but needs to be monitored to be sure it is good for the sharks as well. What an incredible experience! Beautiful photos too. That looks like so much fun! I would love to be able to go swim with the sharks. What an amazing experience that would be. What a wonderful experience! 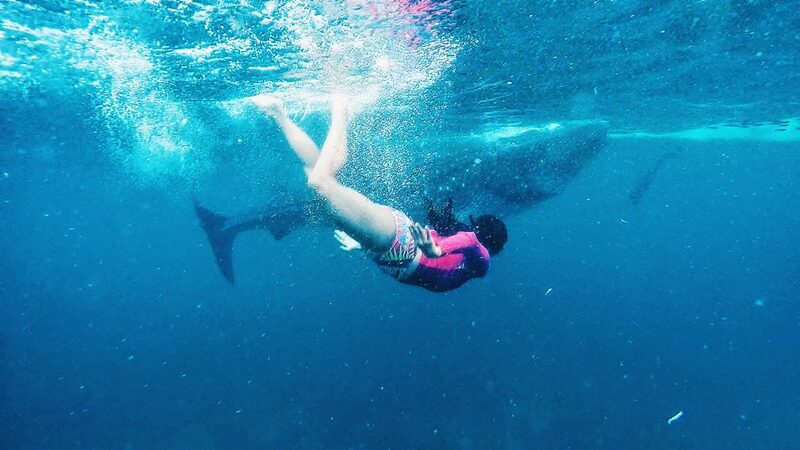 I would love to swim with the whale sharks, too. I have always wanted to see Whale Sharks and to swim with them? Wow, what an amazing experience! You’ve got a once in a lifetime experienced there! I hope someday I will be brave enough to try this, crossing my fingers! Whale sharks? That sounds thrilling- it makes me nervous too! I wish I am brave enough like you but I will try this someday. You have a wonderful adventure there! Everyone has their own idea of what is okay for us to get involved in concerning natural things. It’s hard because not everyone has the same respect for the opportunity. I would love to experience this. What a fantastic, breath taking experience! I am not sure this would be my thing, but when my youngest is older, I am sure he would be totally up for this type of experience! This is certainly an interesting experience you’ve had. It gives he opportunity to see why it might be confusing to the whale sharks. Hopefully regulations go into affect that will protect them while giving humans the chance to understand their habitat. lol deja vu, think i might have commented on this. either way it warrants another comment. Karla, this is so so EPIC! You lucky packet! SO COOL!!! I went shark diving in South Africa. It was one of the most amazing experiences ever. What an adventure. I’d love to do this. Sounds like a wonderful experience to cherish, particularly if you are going to love having some adventures. But honestly I think we have the responsibility to protect them & such events should be handled with care to make sure they are safe too. Thanks for sharing your tales of swimming with the whales and sharks. It seems like fun but I am too scary! What an amazing experience! I am from the Philippines but have never been to Oslob. I am envious! You’re right it is an incredible experience, but I would be torn too! I can’t say I wouldn’t want to do it but also there needs to be some kind of something to make sure these animals keep their wild instincts. Awesome experience! i would love to go ! So disturbing. It’s sad what the drive for commercialization does to wildlife. Thanks for sharing about this. I would love to swim with the whale sharks. These are the gentle giants of the sea! It saddens me to read about what is happening in Oslob and with these beautiful animals. I hope the government and local folks find a solution to the issue. What a shame, I see why there is such an issue. They need to stop feeding them and just enjoy them in nature. Swimming with them must be a magical experience. It sounds like maybe the tourists are overwhelming the area and the whale sharks unfortunately. That is something that a lot of people only dream about. You are very lucky to have gotten to do this! Oh, I love this adventure. I want an adventure like this, I hope to have some interaction with that kind of sharks too! I have never heard of Oslob and now I will never go. Not because i dislike whale sharks, but because I would like them to survive in heir natural habitat. I probably would be one of those travel activist with placards..keep Oslob for the fishes. Thanks for shining the light on their plight. Wow still has to be such an experience. I would say for myself it would be once in a lifetime. Thanks for sharing. What beautiful creatures. I can’t imagine what that was like. I can see both sides. They should be protected, but the experience would be amazing. Wow, Oslob looks like a great place. I am an animal lover too and I want to have a moment with that amazing creature! The warnings about the tourists feeding the animals is something we just saw at a manatee spot near where I live. This looks like a great place to visit. I think it would be esp. awesome to see a whale shark. I’d love to see whale sharks in person. I don’t think I’ve ever even seen one in photo until reading your post. This seems like an incredible experience, though I did think about the impact of tourism on these animals. It’s important to remember that these animals, or any animals, are not here for our entertainment and that their right to exist in a safe and secure ecosystem should be first priority. These incredible creatures look different from your typical sharks and much friendlier too. I can understand how some people may be unhappy with the scenario, but I would still love to participate in a swim.